Polyethylene encasement and cathodic protection are two products that are designed to mitigate corrosion. 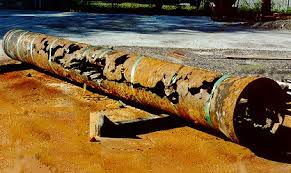 But, what if you could compliment or even supplement these corrosion mitigation products with an insulator and a barrier that promotes the existence of an electrically discontinuous pipe joint segment? The Bevel-Sert, NSF-61 certified, is an HDPE pre-beveled insert ring. 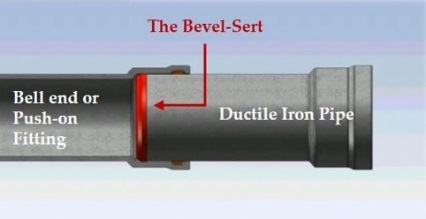 When used with ductile iron pipe mechanical and push-on fittings in water systems, it is an insulator and a barrier promoting the existence of an electrically discontinuous pipe joint segment. Lab and independent product validation tests and field trials have validated Bevel-Sert’s corrosion-reducing effect. You now have a new or complimentary product solution for corrosion mitigation that will also save you time and money.